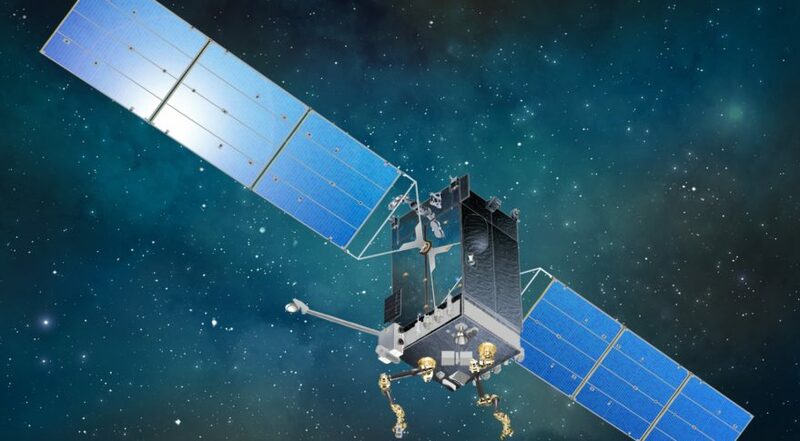 WASHINGTON — DARPA, undeterred by a lawsuit Orbital ATK filed on Tuesday, formally announced today that it will partner with Space Systems Loral (SSL) on the Robotic Servicing of Geosynchronous Satellites (RSGS) program. Under the agreement, carried out under DARPA’s other transaction authority, SSL will provide a satellite bus and DARPA the servicing payload and the launch of the spacecraft. SSL will also add a refueling capability to the spacecraft. RSGS is designed to demonstrate a range of servicing technologies. “Under the contract we do a series of demonstrations with DARPA,” said Steve Oldham, senior vice president of strategic business development of SSL, in a recent interview. The demonstrations range from inspection of a satellite to adding payloads and doing “simple” repairs on satellites, he said. Once the demonstrations are completed, the RSGS spacecraft would be available to perform servicing missions for various customers. “Our expectation is that, once demonstrated, other customers will start to use this on a regular basis,” Oldham said. Those customers will include both government agencies and companies. “Over time, we have an agreement with the government where we will provide back to the government the value of the payload and the launch,” he said, through “preferential servicing” for U.S. government customers. DARPA announced the RSGS award despite a new legal challenge. Orbital ATK — which announced last year that it had signed Intelsat as a customer for its Space Logistics LLC satellite-servicing venture — is asking the U.S. District Court for the Eastern District of Virginia to halt work on RSGS on the grounds that the program violates U.S. space policy provisions aimed at preventing the government from competing with commercial ventures. Orbital ATK hopes to convince the court that RSGS program would unfairly benefit SSL. “DARPA would pay to develop the robotic technology, pay to modify the spacecraft platform, pay to launch the technology into orbit, and then (following a brief demonstration period) transfer ownership of the significantly subsidized spacecraft — along with the DARPA funded robotic technology — to the single participant for its sole commercial use,” Orbital ATK’s suit claims. Last month, several members of Congress sent letters to DARPA, raising questions about the RSGS program and asking the agency to put it on hold. One of them, Rep. Jim Bridenstine (R-Okla.), offered a more nuanced view of the program during a Feb. 7 luncheon speech at the 20th Annual Commercial Space Transportation Conference. RSGS does has supporters in Congress. An amendment to the report accompanying a defense appropriations bill last year, offered by Sen. Dianne Feinstein (D-Calif.), expressed support for RSGS, calling it complementary to Restore-L, a low Earth orbit servicing program at NASA. “The Committee is hopeful that NASA’s Restore-L, RSGS and the subsequent commercial partners will foster a more capable and resilient space architecture for the US Government and US commercial satellite industry,” the amendment stated. “I applaud DARPA’s continued efforts to combine robotics and satellites in order to enhance the security and resilience of America’s space-based systems, and this contract will further the pioneering work of the Goddard Space Flight Center on satellite servicing,” said Rep. Steny Hoyer (D-Md. ), the House Minority Whip, in a statement. The RSGS award in the latest in a series of government contracts for SSL, which previously relied almost exclusively on commercial business. In December, NASA awarded SSL a contract to provide the bus for the Restore-L mission. In January, NASA selected the Psyche mission as one of two new Discovery-class planetary science missions; SSL is providing the spacecraft platform for that mission as well. Space Systems/Loral LLC, Palo Alto, California, has been awarded a $15,000,000 firm-fixed-price other transaction for prototype agreement for the Robotic Servicing of Geosynchronous Satellites (RSGS) program. There are no options on the agreement. Fiscal 2016 research and development funds in the amount of $1,000,000 are being obligated at time of award. Work will be performed in Palo Alto, California, with an expected completion date of December 2021. This agreement was a competitive acquisition (program solicitation No. DARPA-PS-16-01). Defense Advanced Research Projects Agency, Arlington, Virginia, is the contracting activity (HR0011-17-9-0003).